Rodger and I went to a grief workshop the other night. It focused on the stages of grief in children and introduced ways to help children through their grief. While we did find some of the information helpful, most of it did not apply to either our situation or the ages of our boys. One of the big things we left with is that our family is on the right track and doing pretty well on this journey. One of the items discussed was ways to include your children in the mourning process. The facilitator talked about ways to include a child in remembering their loved one; plus letting the child have a voice in planning the funeral, especially if the loss is a parent. 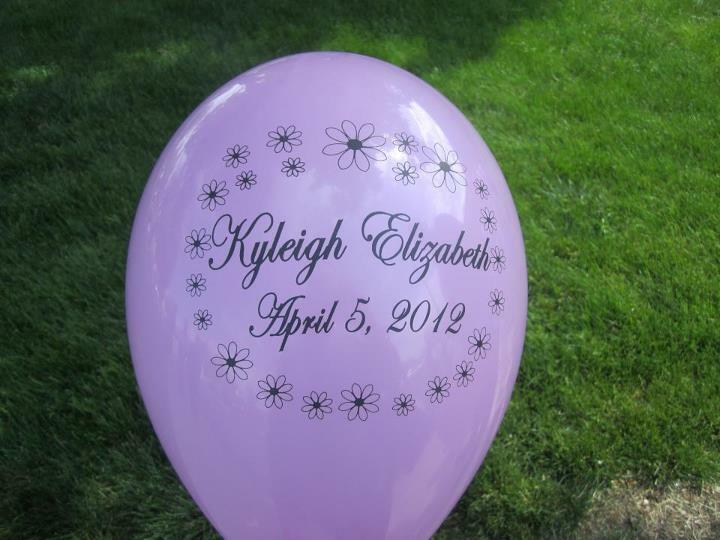 For whatever reason, this has been on my mind the past few days and made me think about how the boys remembered Kyleigh at her celebration of life. When we were picking out flowers for Kyleigh’s service, we asked the boys if they wanted the flowers to be from all of us, or if they wanted their own. They decided on getting flowers for Kyleigh from just the two of them. Oliver and I sat down together at the computer and scrolled through floral arrangements on the florist’s website. He quickly found one that he liked and that Garrison agreed to, as well. The reason why Oliver liked it so well was because in the center of all of the flowers was a beautiful cross. I called the florist and as I described the arrangement, she told me she didn’t have the cross that goes in the middle. After I explained to her how important the cross was to Oliver, she assured me that she would figure something out. The florist went shopping for a cross that day and found the perfect one at a Hallmark store down the street from her shop. 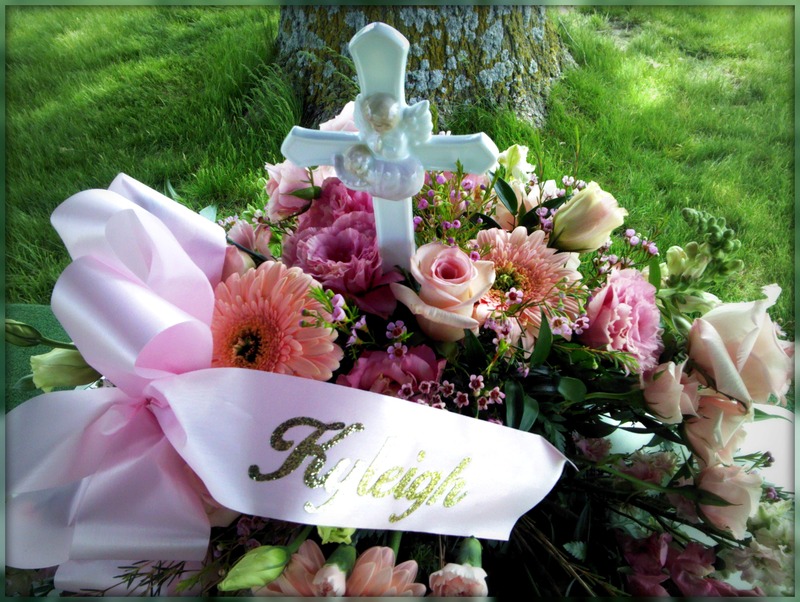 As you can see, surrounding the cross were beautiful pink flowers with a pink ‘Kyleigh’ ribbon, all chosen by Oliver and Garrison for their sister, Kyleigh. From the very beginning, we have done what we can to include the boys in this journey of grief. We have found that our boys do better when they are included, when we tell them the truth and don’t try to hide things from them because we think they are too young. Children understand and process things so much better than adults give them credit for. I am glad that my boys want to be a part of celebrating Kyleigh. Whether it is picking out flowers for her celebration of life or helping decide what to do for her birthday, they have a voice in all of this too.